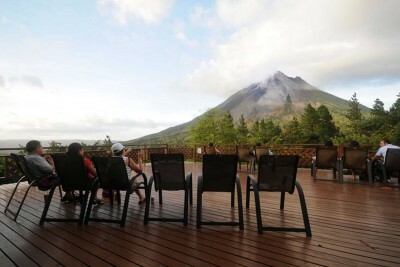 Arenal is the most frequently visited volcano in the country. The nearby town of La Fortuna has grown large through tourism, attracted by one of the world’s most visible volcanoes With clear weather, good activity levels and luck, one can observe huge boulders rolling down the mountainside and spectacular nocturnal pyrotechnics, accompanied by loud booming noises. However, for the last few years Arenal has been far less active than normal – please ask us for an update.